We design and build core components of servo positioning system such as motors, position sensors and control boards with our own technology. Silence and smoothness could be achieved by our own servo-loop technology. HD camera installed on system can be rotated 360 degrees at PAN axis continuously. 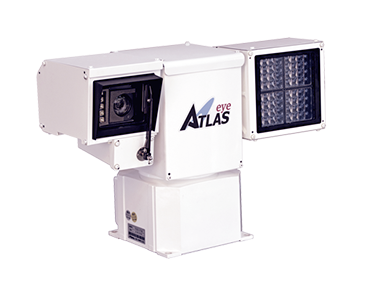 Clear image can be captured by illuminating Near Infrared to target even at dark night. This is the best surveillance system because Near Infrared beam cannot be seen by target at night. Camera and lens can be selected by customer.